The Texas BB 35 was commissioned on March 12, 1914, and soon after sailed out for its first battle following the Tampico incident of April 1914. The battleship was also put to test in World War I and World War II respectively. 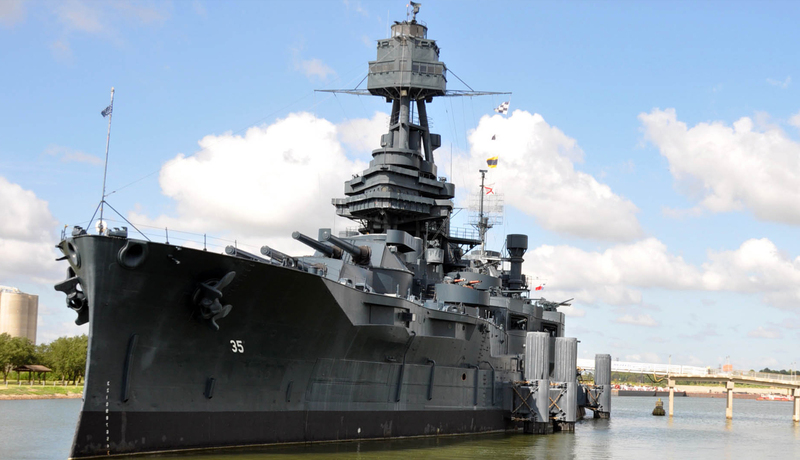 On April 21, 1948, Texas BB 35 was decommissioned and became a museum. At the time of its commissioning, the Texas BB 35 was one of the most complex battleships the world has ever known. 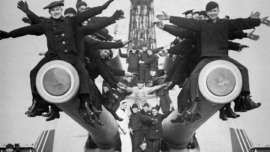 What made it more special was that at that time, only nine countries in the world had the sophistication to build battleships. Of all the battleships around the world, BB 35 was one of the most powerful. The Texas BB 35 has a length of 573 ft. and could reach a speed of 21 knots. It is armed with 10 x 14-inch/ 45 caliber guns, 4 x 21” torpedo tubes, and 21 x 5”/ 51 caliber guns which made it a sea monster at that time. The origin of this historic ship dates back to 1908 Newport Conference. 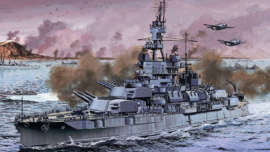 In the conference, a finding was presented that foreign naval ships were equipped with 13.5” guns and it was necessary for America to live up to the competition. The General Board in 1909 pushed forward for the design of a battleship that will, for the first time, have 14” guns mounted on it. The following year, a new gun of that size was tested by the Bureau of Ordnance. After the successful testing, the Congress gave the authorization for the building of two ships. The two ships that came out of the agreement had ten 14” guns mounted on them. The ships were named USS New York BB 34 and USS Texas BB 35. Initially, the ships didn’t have anti-aircraft guns but with the rapid growth of naval aviation, 3″ guns were included in 1916. The contract for the construction of Texas BB 35 was awarded to the Newport News Shipbuilding Company. Construction work began in April 1911 and was completed in 13 months. Texas BB 35 hit the water on May 18, 1912. The ship is estimated to cost about $5,830,000 to build as of that time and would take billions of dollars to build something similar today. The first person to commander the ship when it first entered service on March 12, 1914, was Captain Albert W. Grant. 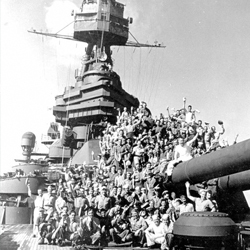 In most of June 1944, the battleship provided support for soldiers at Omaha Beach. Texas BB 35 was on Philippine waters when the war came to an end on August 15. It then made its way to Okinawa and stayed there till September before ferrying American troop home – Operation Magic Carpet. This operation continued until December. By the end of the operation, the ship sailed for Norfolk in preparation for deactivation. By June 18, 1946, the ship entered the reserve status. 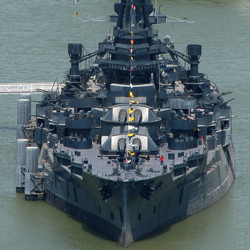 A year later, the Texas Legislature carved out the Battleship Texas Commission whose sole goal was to turn the ship into a museum as a way of preserving it. Following the successful formation and fundraising ($225,000 required for towing) drive of the Commission, Texas BB 35 was towed to Houston Ship Channel close to the San Jacinto Monument. The once great battleship remains open as a museum ship. Texas BB 35 did not only serve as a warship at that time. Because of its heavy armor, the sailors also used it for rescue as well as a temporary hospital for those wounded during the World War II. The ship had one thousand and six hundred crews on board during the D-Day about 74 years ago but none of the crew was lost at the D-Day fighting. Twelve members of the crew including helmsman, Chris Christiansen was later killed at the Battle of Cherbourg. 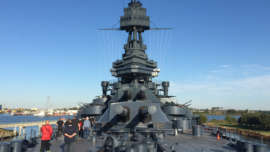 Now docked at the San Jacinto Battleground State Historic Site as a museum ship, the ship manager of the Battleship Texas, Andy Smith said that there was a time during the fierce fighting when Texas BB 35 fired over 250 rounds of 14” shells in a space of 34 minutes. The craters created by the shells are the size of a basketball and can still be found by the side of the mountains there. An unverified story was told that there was a time on June 15, 1944, that the ship’s captain flooded a part of the ship in order to alter one of its long gun’s range while trying to take down out German strongpoints near Carentan and Isigny. Smith says the ship is more than just a military piece of history but a witness to history itself. 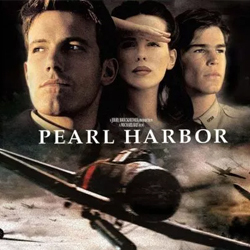 The ship has featured in a number of Hollywood movies including “Flags of Our Fathers” and “Pearl Harbor”. The ship also hosts about 250,000 visitors every year. T&T Marine Salvage was contacted on June 14, 2012, and they made temporary hull repairs to stop the flooding of the ship. A few days later, June 18, 2012, the same company was contacted again for pollution response service, marine salvage, and commercial diving to continually survey the underwater damage of the hull and numerous other monitoring and repairs. 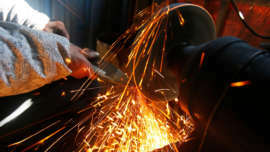 Many of such leaks were sealed off after two months of intensive work by T&T. The company also succeeded in dewatering the spaces using portable hydraulic pumps. The salvage crew also examined the blisters which protect the hull from torpedoes. The Texas BB 35 is the last dreadnought in the world. Many people visit the museum to have a glimpse of this sea veteran. 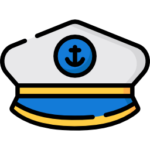 Tour organizations like Hard Hat Tour organize an annual tour of the ship each year and people are invited to be part of the tour. Guest are taken round the ship including depths that are not frequently visited. This year’s tour is scheduled to take place from October through early May.